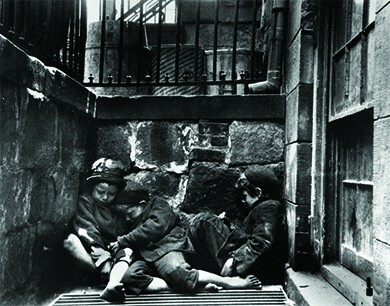 Jacob Riis’s images of New York City slums in the late nineteenth century, such as this 1890 photograph of children sleeping in Mulberry Street, exposed Americans all over the country to the living conditions of the urban poor. Beginning in the second half of the nineteenth century, these Progressive journalists sought to expose critical social problems and exhort the public to take action. In his book, How the Other Half Lives (1890), journalist and photographer Jacob Riis used photojournalism to capture the dismal and dangerous living conditions in working-class tenements in New York City. Ida Tarbell, perhaps the most well-known female muckraker, wrote a series of articles on the dangers of John D. Rockefeller’s powerful monopoly, Standard Oil. Her articles followed Henry Demarest Lloyd’s book, Wealth Against Commonwealth, published in 1894, which examined the excesses of Standard Oil. Other writers, like Lincoln Steffens, explored corruption in city politics, or, like Ray Standard Baker, researched unsafe working conditions and low pay in the coal mines. The work of the muckrakers not only revealed serious problems in American society, but also agitated, often successfully, for change. Their articles, in magazines such as McClure’s, as well as books garnered attention for issues such as child labor, anti-trust, big business break-ups, and health and safety. Progressive activists took up these causes and lobbied for legislation to address some of the ills troubling industrial America. The expressions of these Progressive principles developed at the grassroots level. 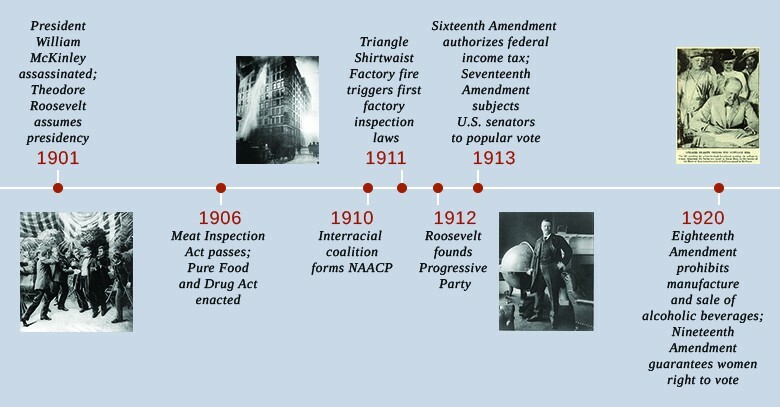 It was not until Theodore Roosevelt unexpectedly became president in 1901 that the federal government would engage in Progressive reforms. Before then, Progressivism was work done by the people, for the people. What knit Progressives together was the feeling that the country was moving at a dangerous pace in a dangerous direction and required the efforts of everyday Americans to help put it back on track.